Ready to learn about your heritage? you really are than you ever thought possible. See our list of the top DNA testing services in the industry. The process of filling out the DNA test can essentially be separated into 3 steps: collection, packaging, and results. Collection - If you use a home DNA testing kit, you’ll find all the instructions included. Usually, you’ll be sent a sterile tube to collect your saliva sample. It can be awkward to get enough spit for the test purposes. Some companies send a cheek swab that you rub against the inside of your cheek to get a sample of cells from there, instead. Packaging - Once you've collected your DNA sample, you'll seal it into the sterile package and use the included mailing package to send it back to the company. It usually takes a few weeks to get the results, but the timeframe varies; it can be anything from 4 to 12 weeks. Results - When your results are ready, you’ll typically get an email inviting you to view the results online. Ancestry DNA companies have a dashboard that lets you explore your results. MyHeritage makes a short video for each user that displays an overview of their background, with music that matches each person's geographic origins. On most sites you can then view a dashboard with a percentage breakdown of where you come from. What Are the Different Uses of DNA Tests? Paternity tests are used to confirm who is the father of a baby, child, or adult. Genealogy tests are used by genealogists to determine ancestral ethnicity and relationships. Gene therapy DNA testing is most commonly used for parents before they try to conceive or for fetuses to check for inheritable genetic conditions or if an embryo is carrying any birth defects. Forensic DNA tests are used by police at crime scenes in order to identify victims or find criminals after certain crimes. Here are the key considerations to look for when you choose a DNA testing company or kit. If you want a DNA test in order to learn more about your family and your origins, you have a few options. An autosomal DNA test checks only 22 out of the 23 pairs of chromosomes and can be used to compare DNA from both males and females, so it's best for finding a range of living relatives. It gets less reliable the further back you go because of autosomal DNA changes every generation, so it's only good for identifying up to third or sometimes fourth cousins and can only give reliable information back to your great-great-grandparents. A mitochondrial DNA (mtDNA) test checks the tiny mitochondrial strands inside every cell. Both males and females inherit these mitochondria from their maternal line. It can be extended much further back in time because it doesn't change quickly. It gives very precise details about your ancestors and distant cousins – even your 48th cousin! – but only if they lie on your maternal line. It’s good for proving you come from a particular region, ethnicity, or family group but not for finding relatives. Y-DNA testing examines only the genetic information in the Y-chromosome, which is only found in males. It also does not change quickly, so like mtDNA, Y-DNA testing is good for proving relationship to a common ancestor or checking relationship with another individual, but it only works along the male or paternal line. This also means that only men can do a Y-DNA test, although women could ask a close male relative to take the Y-DNA test and then share the results. How Simple - or Difficult - Is the Kit to Use? Most DNA testing kits are pretty straightforward, but some elderly or weak individuals can find spit tests awkward to use. In those cases, companies that offer a cheek swab for taking samples instead of needing a saliva sample could be easier. Any Added Features I Should Know About? As well as these considerations, there are a few extra features that are offered by some DNA testing companies. Some companies store your data indefinitely which means you can discover new family history information 50 years down the line. Others only store it for a certain number of years. Another feature is the size of the database. The bigger the database of users, the better your chances of finding a match. Some companies also permit you to upload raw genealogical data to their database so you can see if you have any matches without taking a test again. So, Which DNA Kit Should You Choose and Why? A few days after you order your MyHeritageDNA​ kit a small white box covered with a technicolor sunburst design will arrive at your door. Inside you’ll find an 8-step instruction booklet and a postcard to remind you to activate the kit online. When you’re ready to take the test, use the 2 enclosed cotton swabs to scrape the inside of your cheeks, and then break them off inside the two organize vials and add the enclosed stabilizing liquid and seal them in the plastic bag. After that, you place it all inside the pre-addressed envelope and ship it on. It’s all there in the box, and really couldn’t be easier. LivingDNA​ touts its product as using more sophisticated science than the competitors and more detailed testing, all of which starts with a little rectangular white box. Inside you’ll find an instruction booklet and a vacuum-sealed test tube with a cotton swab attached to the top. Just take the cotton swab and wipe the insides of your cheeks and then insert it back into the tube, seal it, and stick the activation code to the outside. The test tube will go inside the little grey “specimen bag” which you’ll put in the prepaid first-class mail bag that came with the kit. Other than that, just make sure to register online so you can get your results, which should be ready in a matter of weeks. An AncestryDNA​ kit comes in a sleek little white box that you’ll want to tear open and get started. Inside you’ll find a handy welcome card that will walk you through all the steps. Under the booklet you’ll find a little tube that you’ll use to “submit” your saliva sample. You’ll also find a plastic baggie that you’ll use to hold your tube and a small, postage-paid cardboard box where you'll put the baggie and shiuop it all back to the AncestryDNA lab. You also have a handy reminder on the bottom of the kit that shows you how to activate your kit online so you can view the results when they’re ready. What is DNA genetic testing? No matter who we are or where we come from, every single one of us has a unique genetic code (unless you’re an identical twin). This genetic source code is Deoxyribonucleic Acid, commonly called DNA, and by closely examining your unique DNA, specialists can extrapolate a great deal of unique and useful information. Who needs DNA testing kits? Potentially, everyone could need DNA testing at some point. It can be used to check for genetic disorders or inherited health conditions, paternity testing, or ancestry testing to learn more about your origins and search for family members. DNA testing has been used by historians and archaeologists to learn more about skeletons found at historic sites. For example, when the body of King Richard II was dug up in a modern parking lot, his identity was finally confirmed after DNA tests with some of his modern-day descendants. A DNA test is performed on a sample provided by the customer, usually by way of a saliva sample or a cheek swab. Once in the lab, the DNA sample is examined by technicians who digitize the DNA sample and look for clues. DNA is made up of 4 building blocks known as nucleotides and most of human DNA is in the form of strands called chromosomes. There is a wealth of clues that the testing lab will look at, including your Single Nucleotide Polymorphisms (SNP). These variations in your DNA can be compared to other people’s DNA samples in order to find genes that can indicate a particular disease or genetic condition. Under close examination, your DNA sample can indicate how much your genome (your complete set of DNA/genetic material) has in common with test populations across the world, providing an assessment of your ethnic makeup. Where can I get a DNA test? 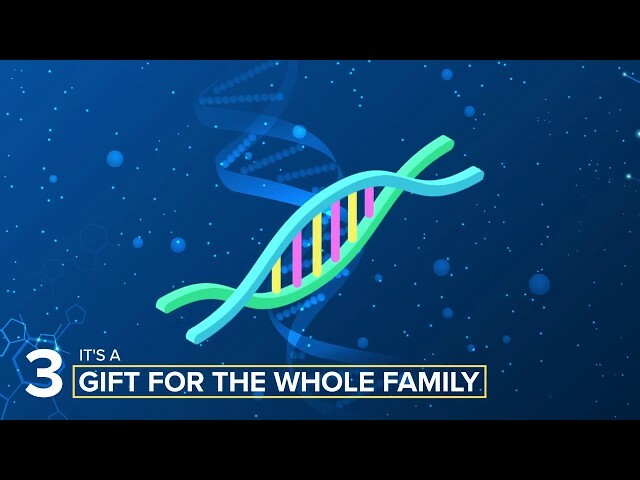 Today there are dozens of companies selling home DNA testing kits, buoyed by the popularity of genealogy programs on TV and family research made easier by the internet and social media. Companies like Ancestry, 23andMe, and MyHeritage, sell all-in-one DNA tests that arrive at your home within days of ordering. 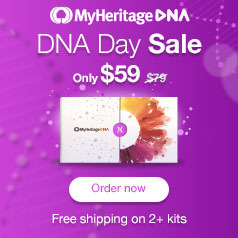 If you’re simply looking for a DNA ancestry test, most companies have similar prices that hover anywhere between $59 - $99 per test. With most companies, you have to factor in shipping, but shipping is often included—or at least discounted—if you order multiple tests. Can you get a DNA test while pregnant? A DNA ancestry test can be carried out during pregnancy without any issue. If you’re looking to establish paternity while pregnant, this can also be done with a number of companies. A prenatal DNA test can be done with a simple blood sample from the mother. The lab then extracts a DNA profile of the baby from the fetal cells in the mother's blood stream. This can be compared with a DNA test from the father in order to establish paternity. What do ancestry DNA results look like? On MyHeritage for instance, your results are shown in a revealing experience that jumps across the globe, showing each ethnic area one by one, with a percentage of your makeup. Whenever it bounces to a different part of the world, the platform plays music that corresponds to the region of origin, and shows you each of the different population groups in your DNA, with fun animation. With LivingDNA, you’ll receive a breakdown of your ethnicity listed by percentage and shown across a map of the world, and on 23andMe you get a very similar breakdown, shown with varying shades of ethnicities circling around the globe like a pinwheel. LivingDNA can also give you a “family ancestry visualization,” which creates a recent family ancestry average based on your DNA mix over the past 10 generations. Living DNA can also give you a “migration map” which will show you the trail that your family (maternal line and paternal line) took beginning with the origin of man in east Africa. How trustworthy is ancestry testing? The way the tests work is by taking your DNA and comparing it to people from regions across the world and seeing how much of it resembles the DNA of people from specific areas and to what extent. The accuracy is largely linked to how many people the company has in their database, and also how many people from a specific region of the world took the test. As LivingDNA puts it, the tests answer the question, "Which populations in the world is my [autosomal] DNA most similar to?" DNA tests— both prenatal and after birth—can unequivocally prove paternity, and can be of great assistance to parents trying to sort out issues of custody, immigration, and divorce. When it comes to ancestral breakdowns, DNA tests can take our jumbled, unclear DNA and create an easy-to-follow mosaic of our family background and where we came from. These tests can zoom out and look at our DNA and how it compares to people around the world, giving us some insight on where our families came from. You may also find some sort of confusion due to the ever-changing breakdown of nation-states throughout history. A DNA test can give you information about signs that indicate that you could develop some sort of genetic health condition down the road. Companies like 23andMe, which do DNA health testing, caution that these tests should not take the place of the consultation of a physician nor do they constitute a medical diagnosis. Nonetheless, they can provide some information that you can follow up. DNA tests— both prenatal and after birth—can unequivocally prove paternity, and can be of great assistance to parents trying to sort out issues of custody, immigration, and divorce. When it comes to ancestral breakdowns, DNA tests can take our jumbled, unclear DNA and create an easy-to-follow mosaic of our family background and where we came from. These tests can zoom out and look at our DNA and how it compares to people around the world, giving us some insight on where our families came from.